Today is free day for me! Woo hoo. 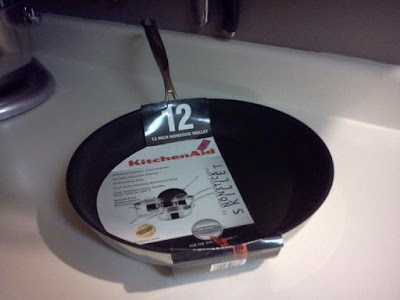 I had a gift I wanted to return to Sears, and I knew that last week when I was there they had this pan I really wanted but decided against getting. This morning while I was scraping my hashbrowns off the bottom of my stainless steel (also known as a stick pan, opposed to the non-stick pan) I was wishing I had gotten the dumb pan that I had seen on the clearance rack and still passed on. Dad came over, helped me hang my knife magnet, and we went to Sears. I returned my gift, and used the credit to get this wonderful, Kitchenaid, 12" non stick skillet. Love. I still have some cash left of my gift card, so if you know of anything from Sears that I have to have, let me know. Then I went to Target with my dad because he needed to return his cell phone. I looooove Target. We didn't look around though. We went for the cell phones and while dad was getting his, I was looking at the Verizon section. I found the LG Octane and immediately fell in love with it. 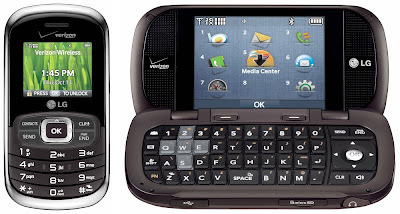 I'm still running on the LG EnV2 because I refused to upgrade for the fact that Verizon charges $10 extra per month, per line for a data package. I refuse. If i need the internet I will use a computer. 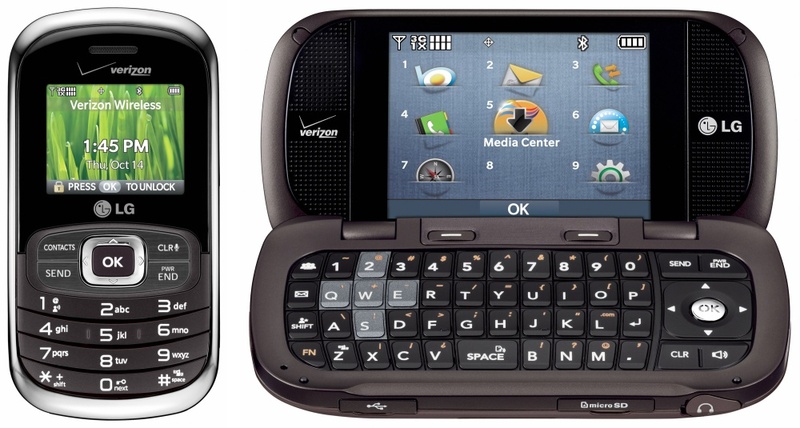 So I asked the guy if this was the new version of the EnV and he said yeah, and for some reason, I don't really know why because I thought I had to, I asked "Do I have to get the data plan" and when he said no, that I didn't, I wanted to hug him. The coolest part is that I was eligible for an upgrade. The shelf said $19.99, but the guy knows my mom so he gave me her discount. Of 100%. 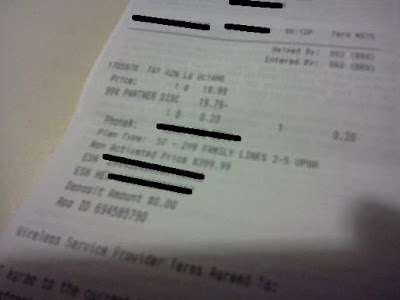 That is really hard to see, but what I'm showing you here, is that the "New activated price is $399.00" and I got it for free.